We are working on building a directors’ chart for CubWorld and Camp Murrey. Hopefully we’ll have that built and loaded soon! We also have a new banner image. Here is the original, taken this summer at the July Fourth campfire. July 4th Joint campfire from stage left, 2018. Photo by Grady Eades. 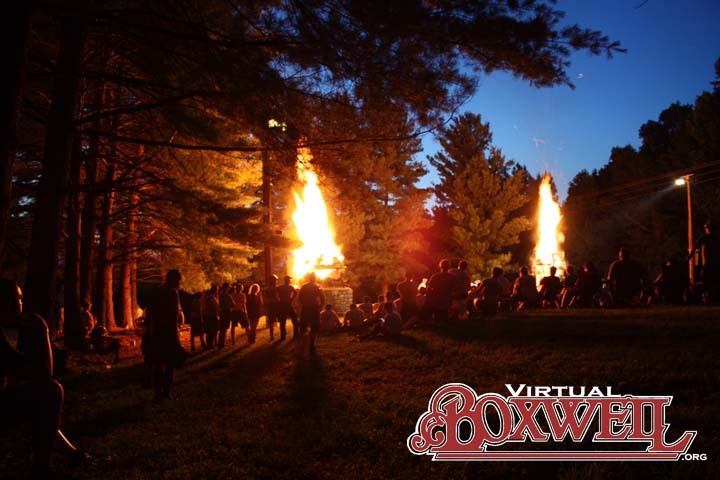 This entry was posted in From the Archives, summer camp, website feature by virtual. Bookmark the permalink.